worked together on quite a few projects in Vietnam. Sadly, he left us and went to the big Castle in heaven on 18 August 2002. Photos from Operation Duke follow the stories. 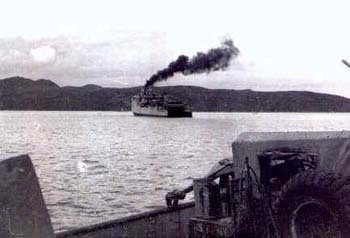 I joined the 84th about three months before it finished it's year in country (the year "in country" began when it started its voyage to Vietnam). 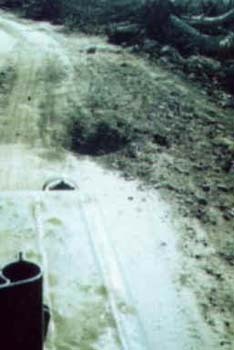 One of the things the 84th had to do after arriving in Vietnam (and long before I got there) was to design a latrine that would suit the environment. Anything employing a hole in the ground wouldn't work because of the high water table. It was the 84th that came up with the latrines that involved burning out the stuff. Specifically it was a 1st Lt Mauz, a member of the Bn S3 shop. He, of course, became known as "S**t-house" Mauz; and he was responsible for the unique odor that I always associate with Vietnam. 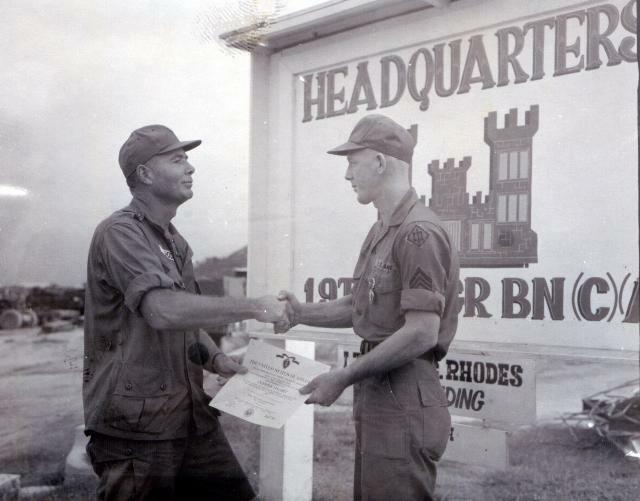 In addition to the Engineers on Operation Duke, we had two medical personnel from a hospital that had deployed to Vietnam, but the hospital equipment had not yet arrived. 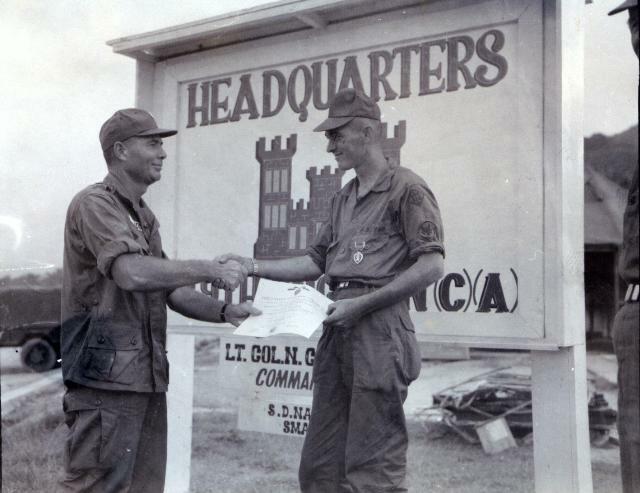 Doctor (Captain) Al Glock and 1st Lieutenant (Army Nurse Corps) Ken McDaniels volunteered and accompanied us for the duration. Doc Glock and Lt McDaniels established a regular sick call for us and for the local Vietnamese. During the time we were there an Army pilot injured himself seriously while attempting to start his aircraft. Doc Glock attended to him until his medevac. Also, we found a young Vietnamese girl who lived in the local area who had been injured by shrapnel at an early age. Her cheek healed with a hole in it so that the teeth grew in the direction of the hole and she had difficulty swallowing because of her inability to create a vacuum. Doc Glock arranged for her and her mother to be medevaced to Qui Nhon where eventually skin grafts would solve her problem. 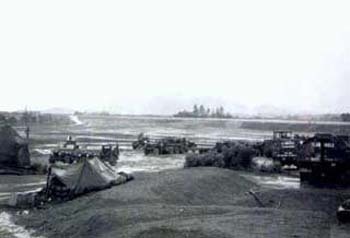 The Operation Duke mission was to enlarge LZ English so that it met the minimums for C130 operations. This meant we had to essentially double its length. The only direction in which we could extend it took it across a ravine and through a hill which was in use as a cemetery. We paid the local Vietnamese (through the local District) to move the graves from the cemetery. 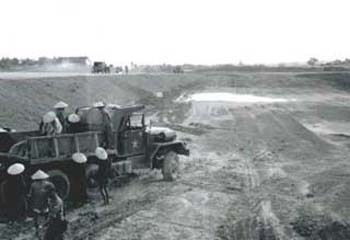 During our construction effort we used the hill to fill the ravine, and we encountered no residual graves. Our security was provided by the local Army of the Republic of Vietnam regiment, and we kept in close contact with the regimental advisors. 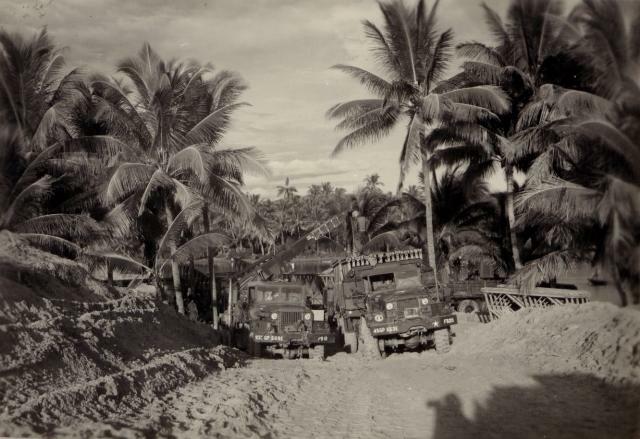 Before commencing Operation Duke, I attempted to obtain FM radios through the 84th Battalion S3/S4 because the regimental advisors had only FM radios. The battalion S3 told me he could not obtaine one for me. 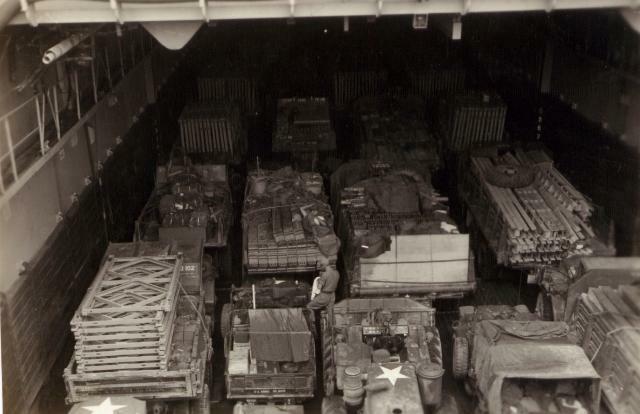 Fortunately, B Company was stationed with the 1st Cavalry Division, and I was able to trade a pallet of cement for 2 AN/PRC 25 radios and a case of batteries. 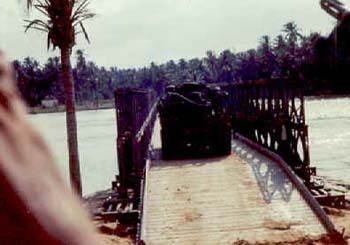 This became important to us on the night the VC attacked us and concurrently blew up the Bong Song bridge. 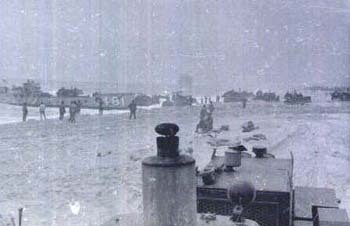 While working that night, we received an urgent message from the regimental advisors advising us to "shut down operations immediately." 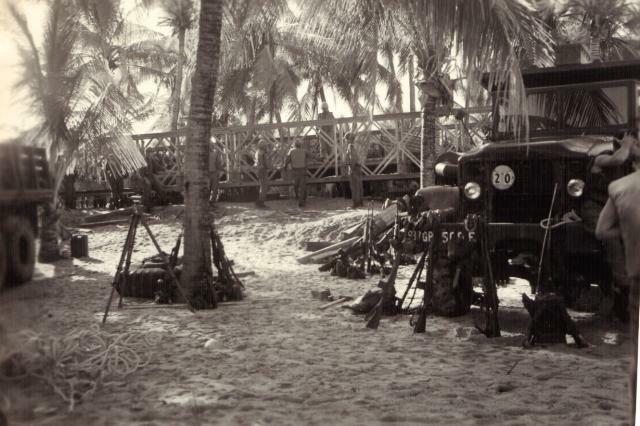 We did so, shut down the lights, and got our men into the security area just before Charlie mortared the center line of the extended runway (three 60mm mortars as I recall) and launched a small arms attack on our area. 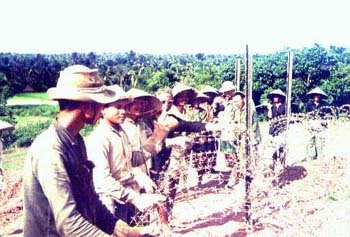 We employed a large number of Vietnamese during Operation Duke. We coordinated for these personnel through the local District headquarters. 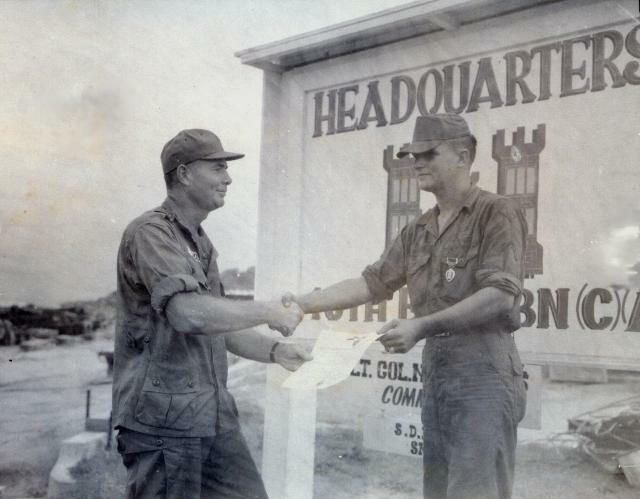 They provided labor on the job site, in our secure area, cut sod, and laid the sod on the banks of the runway. Although we had not advertised our departure, most of these personnel came to our area to say good-bye on the day we left. Another event that comes to mind is when the local high school visited us. They gave our personnel hand-written letters and handkerchiefs, and they presented me with an oil painting that had been painted by one of the students. 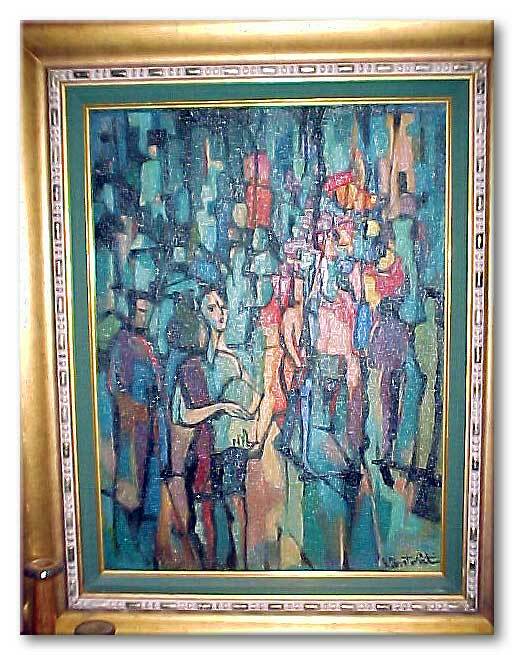 I still have the painting (photo attached). It originally was framed in wood from ammo crates. 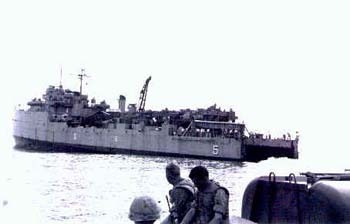 The men of Operation Duke, I believe, did a great job under very adverse conditions. Earthmoving is not a simple task under the best conditions. We did it under very spartan conditions and during the wet monsoon (I remember the rain and mud). During my second career (I stayed in the Army almost 30 years), I worked with a fellow who had been an infantry officer in the 1st Cav and operated out of English airfield (small world). He said it was working fine and would likely last a long time. I recall with great relish the fresh salad mentioned in the Contover article that we had on the Gunston Hall. I also recall with fondness the A ration meal also mentioned in the Contover article. That meal was compliments of the commander of the 8th Engineer Battalion (the divisional engineer battalion of the 1st Cav Division). He put his mess sergeant with a charcoal grill, steaks, etc on his helicopter and brought him to us after he heard how many consecutive days we'd consumed C rations! There are many other memories that have been stimulated by your fine web site. Perhaps I'll be able to communicate them in the near future. It was 3:00 a.m. in Qui Nhon , Vietnam when we were awakened by the staff sergeant to go to the mess hall for breakfast and to be briefed. 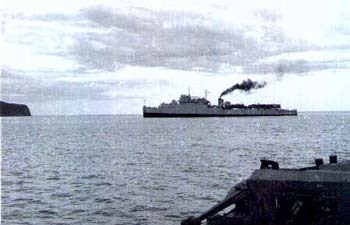 One hundred and eighty seven engineers were hand picked for this operations which was to take place near the town of Bong Son on the coast of South Viet Nam . Our mission was to build an airfield there. 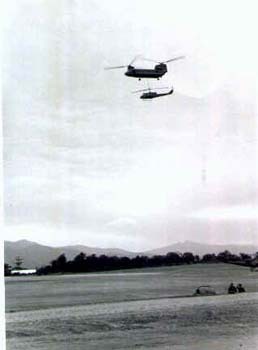 Rumor had it that Operation Duke was top priority and the word had come from headquarters in Saigon . 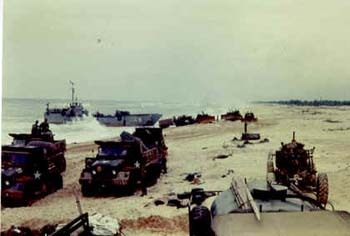 I was one of about forty-five engineers that had come to Qui- Nhon from An Khe, which was forty-seven miles to the west. Qui Nhon is the third largest city in South Viet Nan. Since it is on the coast, it is considered a very important seaport. 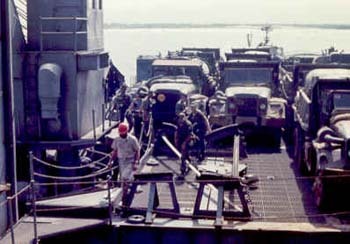 After our briefing, we moved to the port in five convoys. The week before we had prepared our equipment; we were ready to move out at anytime. I drove a five-ton dump truck that had two rubber fuel bladders containing six hundred gallons of gasoline apiece. 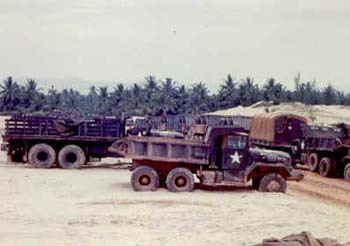 There were six other dump trucks that carried fuel enough for our vehicles to run on the field. 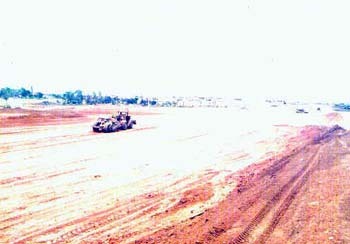 Other equipment included: six earth‑scrapers, two bulldozers, four graders, and many assorted vehicles. 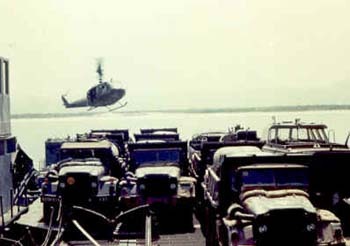 All this had to be loaded on a ship; a convoy over land was impossible since the Viet Cong had blown up most of the bridges to Bong son. The next morning, we were off the coast of Tam Quan , about nine miles north of Bong Son. We were on board the Gunston #all for two nights before we landed. 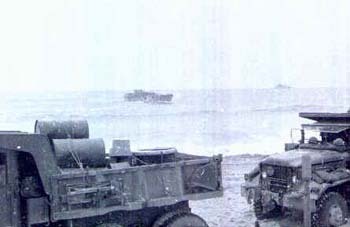 I'll never forget it, the surf was bad and on the beach, our unit was receiving harassing from the Viet Cong. I can clearly remember watching the jets bomb areas to our right. 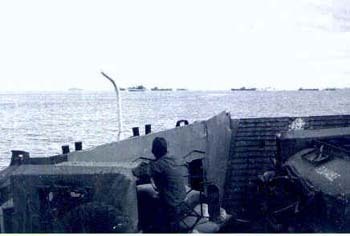 looking our to sea, I could see one destroyer on the horizon, peppering the beach with its guns. 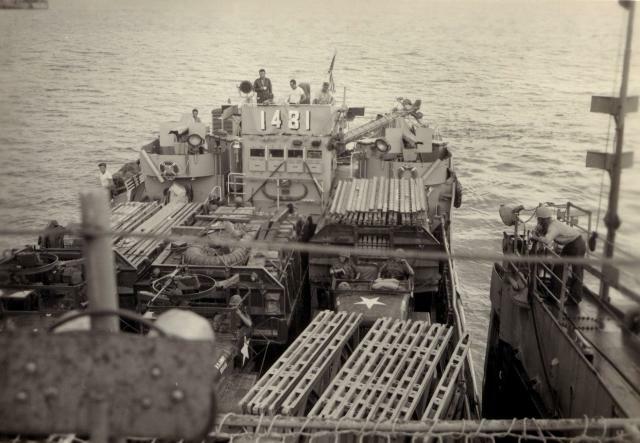 I was on the last landing craft that final morning and to be honest with you, I didn't want tot leave. We waited on the beach until noon to move inland. 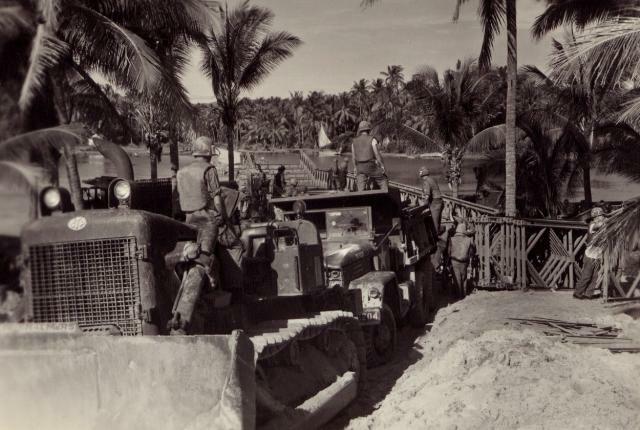 Four days before we landed, three bridge companies and one combat engineer company (to provide security for the bridge companies) had landed. 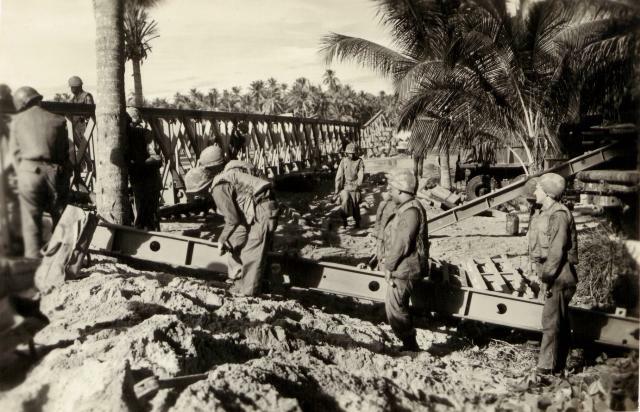 They were there to build bridges for our heavy equipment. The completion of the bridges caused the delay. We finally moved to a South Vietnamese army compound for the night. This position was four miles. from the beach. An attack was expected that night but it never happened. For some reason, our officers would not give us hand grenades that night. Instead, about twenty of us borrowed hand grenades from the U.S. Army for the day. We all cleaned our M-14's and dug in deep. 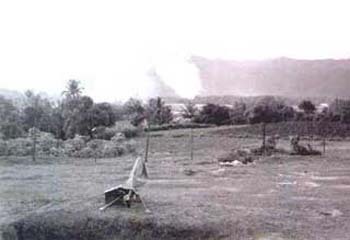 The next morning, most of us woke up to a fire fight about a quarter of a mile from our position. The Army of the Republic of Vietnam (ARVN) had come in contact with a squad of Viet Cong. 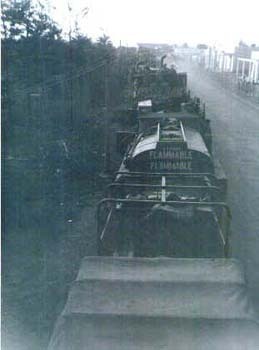 Early that morning, the mine sweeping team moved out to clear the road while we all waited. This gave time to nearly a dozen G.I. 's to talk to the ARVN second lieutenant. He was the executive officer of the armed personnel carrier that had escorted us from the beach. They were also our rear security. The second lieutenant knew how to speak English fairly well. He showed us on the map just where the Viet Cong and the North Vietnamese Army strongholds were in the area. P.F.C. Nelson asked him why and for how long he had been fighting the Viet Cong. He told us that he had been fighting them for fifteen years. He said, "I was a young boy when the Viet Minh had come to my village. They told my father to go with them. He refused and they left, only to return later. and take my father away." His father never came back and was never heard from again. 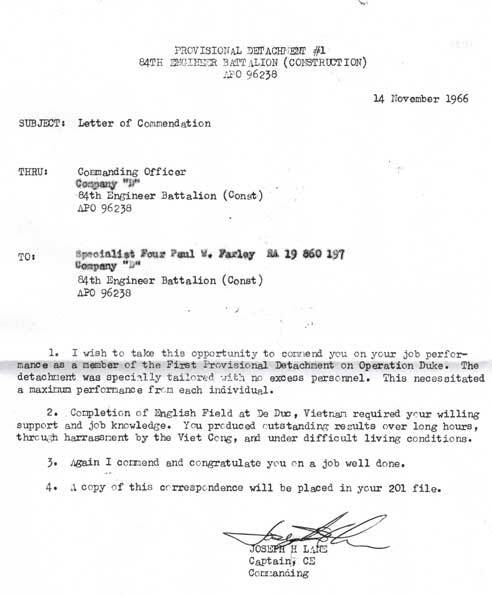 The lieutenant asked P.F.C. Nelson what we were going to build. He said that we were going to construct an air strip in two weeks. P.F.C.. Devlin said we'd be working around. the clock to finish it using lights in the dark. The lieutenant looked at us as if we were crazy because it was unheard of to use lights in this area at night. After a little noon chow, word came to motivate. Two miles down the road, we started to get hit by sniper fire on the right. I told my shot-gun, P.F.C. Devlin, to let them know we were here. He started to fire at the tree line on the other side of the rice patties. We came to our destination and no one was wounded or killed. Luck was with us. 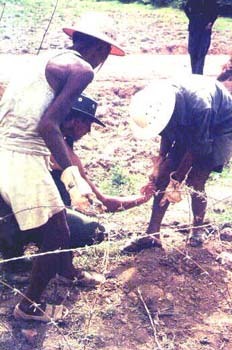 We took a position on a knob of a ridge, dug fox holes, pitched our tents, and put barbed-wire around the perimeter. 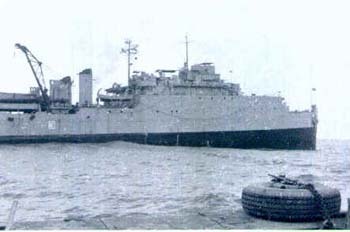 Operation Duke took two months though it was expected to be completed in two weeks. C rations kept us going for all that time and four hot meals that were brought by helicopter near the end of our mission were real reinforcement for our hard work. We appreciated our work even more when we saw the first large transport plane (a Lockheed C-130 Hercules) land at English Airfield. 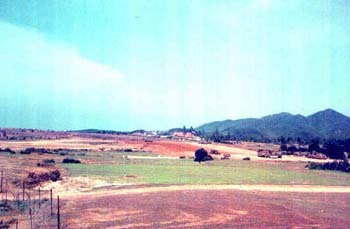 no mention of our base in Ane-Khe was found on your web site..
to build an airstrip there for the 1st Cav.Div. at L.Z. English. I took part in that operation. 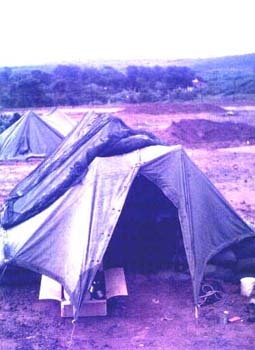 but later the tents were replaced with wooden buildings and concrete floors. "we do the impossible right away-miricals take a little longer"
I lost my crest pins years ago and have been looking for replacements all these years with no success. Maybe i'll find them someday. run way to permit sustained use by C-130 aircraft. 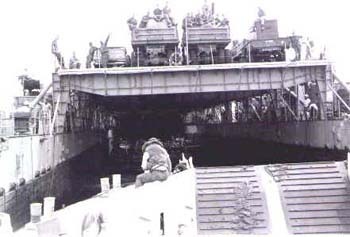 passage of the 84th and its heavy equipment. 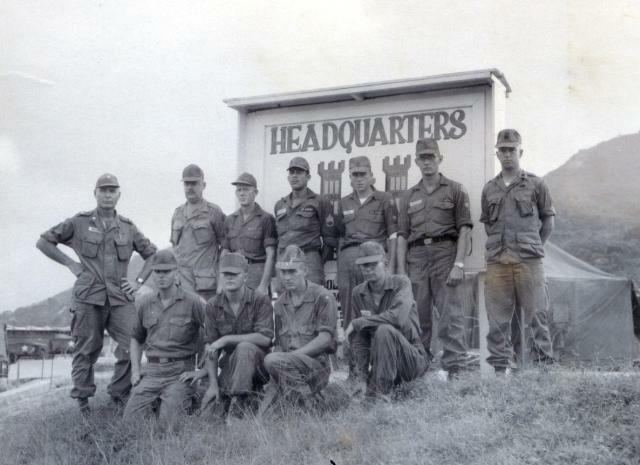 in October and November of 1967.
of "D" Co., 84th. Engineers. 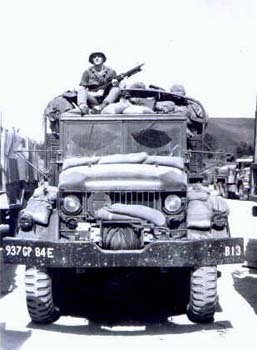 Early morning Qui Nhon awaiting orders to load up the ship, "B" Co. man standing by. 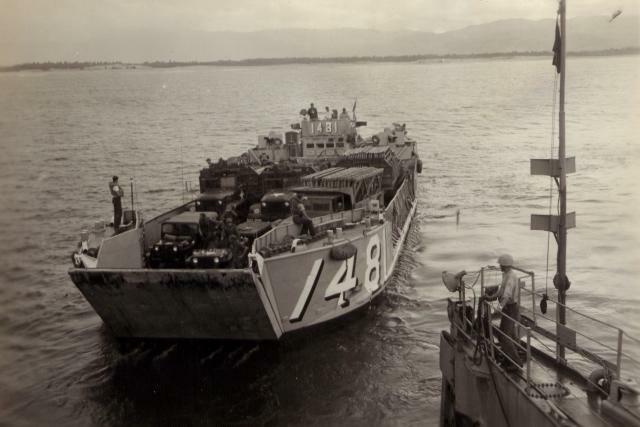 Ward and Ogden from the 513th Eng. Land mines were a problem and not funny at all !! Photo provided by Paul Chisolm of B Co. 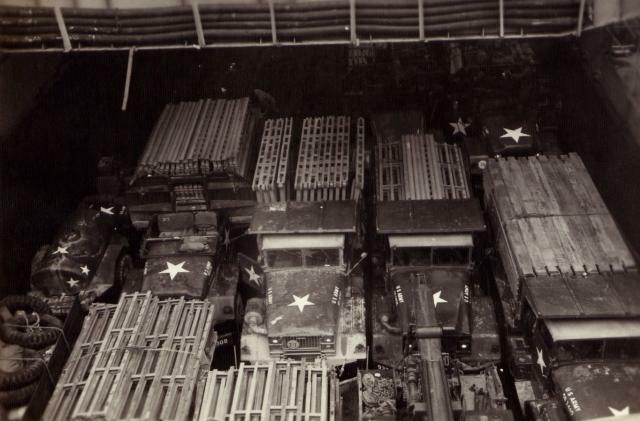 The following photos were provided by Russ Weber of "A" Co., 84th. Engineers.